Eric and Lynn Dolman. (Photo: CATERS/WWW.MAGAZINEFEATURES.CO.ZA). 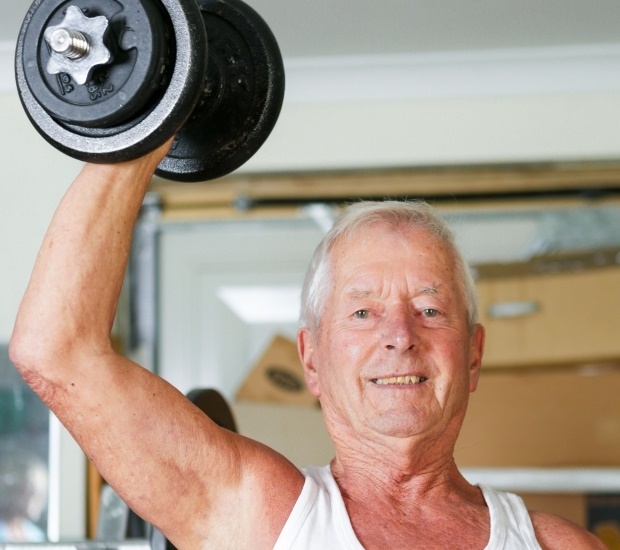 Meet Britain’s oldest weightlifting couple! 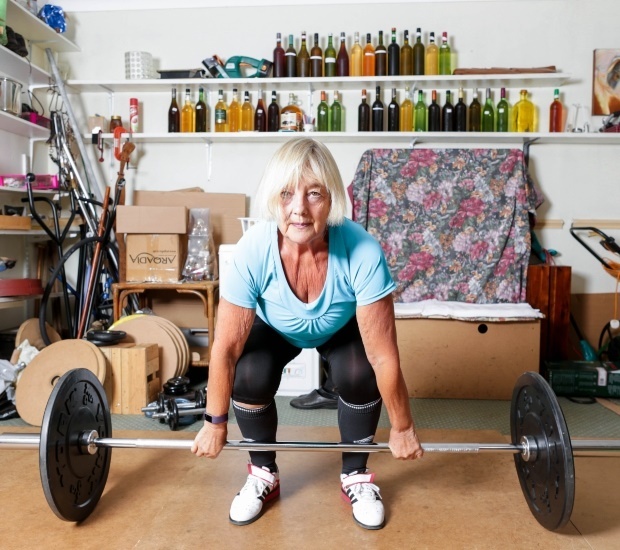 Despite suffering from arthritis, pensioners Eric (83) and Lynn Dolman (70) not only work out together in their garage in New Tupton, Derbyshire – they’re European weightlifting champions in their age categories. The couple, who’ve been together for 40 years, won gold in the senior male and female categories at the European Masters Championships in Budapest in May. Between them they’ve won dozens of international titles. They insist the sport is the key to keeping them feeling young. Retired soldier and nightclub singer Eric says it’s become a way of life. “I started weightlifting when I was 16. I had my first competition when I was 19 when I won the Northern County championships. Eric dipped in and out of weightlifting throughout his working life but after he retired from full-time singing in 1998 he began competing in the sport again. After taking part in local and regional competitions he began to compete internationally and has since won dozens of British and international titles. Despite her husband’s long-standing passion for the sport Lynn took it up only in her sixties and began competing in 2012. Now the couple follow a strict training programme in a homemade gym in their garage. “I preferred doing other things like step aerobics,” she says. “One day in the gym there was a pump class that involved lifting weights and I found it was quite easy. “Then I thought I’d get my son to show me the technique. He trained me a bit and I entered the Northern Masters in 2012 and just went from there. We train three times a week for two hours a time every Monday, Wednesday, and Friday. “We have a schedule that starts off using lighter weights which build up and increase every week until we can confidentially start to the weight that we want to increase at the competition. The Dolmans are convinced of the health benefits of their active lifestyle. Eric, who has arthritis in the knuckles of both hands, says weightlifting helps with the condition while Lynn says the sport has made her less vulnerable to broken bones. Their exercises include power snatches, clean jerks, dumbull presses and back squats – with Eric snatching 38kg and dumbbell-pressing 18kg. He says despite his age he has no intention of giving up his beloved weights and he even has ambitions to try other sports while he’s still able to do so. 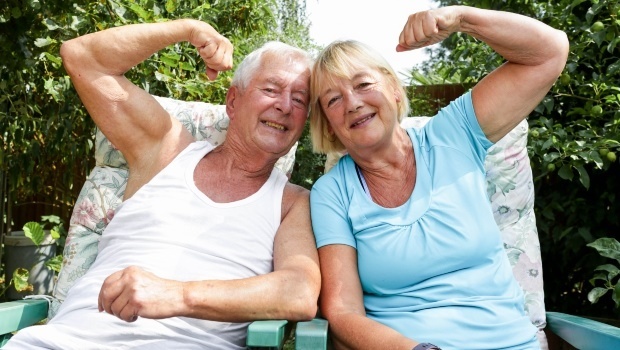 “I lifted more when I was 80 than when I was in my 70s because the schedule I was on had increased my strength. The more you practice the stronger you get. “Age is no barrier. When I was training gyms would say that I was as fit as a 20-year-old. That’s how I feel. The only thing I probably can’t do is run as fast. I’d like to start doing more sports like shotput.